Looking to finance your Audi? 2-door sports coupé with Audi Virtual Cockpit, automatic retractable rear spoiler and rear parking Sensors. The Audi TT has evolved, with more advanced technology and striking enhancements to its iconic design. 2-door performance sports convertible with ‘S’ styling, fully automatic acoustic hood and Audi Virtual Cockpit. A 2.0 TFSI, 306PS engine provides the performance, while the retractable roof provides the thrill of open-top driving. 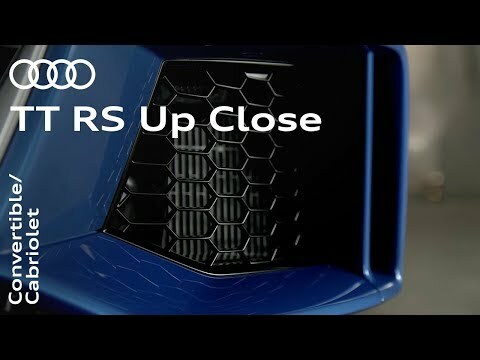 2 door high-performance sports coupé with a 2.5-litre TFSI 5-cylinder engine, ‘RS’ styling and Audi virtual cockpit with a RS specific screen. The pinnacle of Audi performance meets the pinnacle of Audi style. This is the exhilarating TT RS. Images are for illustration purposes only and some of the equipment shown is optional. Starting from prices are based on the entry level derivative model and are subject to change.